The pair of lenses up on the plate today are sponsored by Klenspop – a circle lens and beauty store that I will tell you a bit more about later, hang on! The lenses I will be reviewing are called Lenspop Bunny Color Brown and yes, they are of Klenspop's own brand and seemingly popular for the moment – hence why the store is promoting said lenses. Even though the lenses were sponsored it doesn't change anything about my review – I always only share 100% my honest opinion to all my readers and followers. Lenses in vials. Held up close to the window on a sunny day. Before getting to review the lenses I first want to pop out a few words about Klenspop's store! You see, they actually contacted me asking if I was interested in a sponsorship offer. At first I was quite surprised because I had recently gotten my first sponsor and yeah, I just hadn't expected a second one in such a short time frame! But after having taken a look at their site I remembered that "hey, I've seen this store before!" and then I recalled having seen another blogger do a review for Klenspop a long time ago. I also remembered the review being a positive one so –despite my first impression of the store looking a bit unprofessional– I thought that I'd take the opportunity! 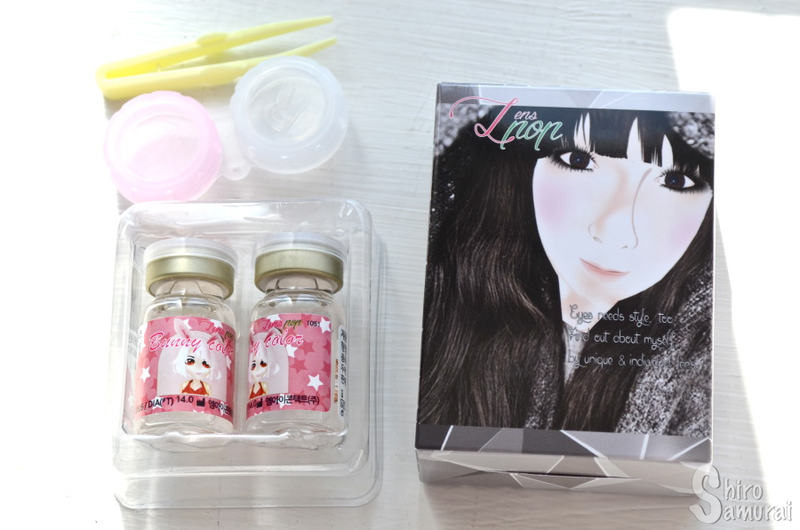 About the store itself they carry mostly circle lenses (brown and gray, especially) but also cosmetics – eyeshadow, eyeliner, lip gloss etc. The prices are cheaper than on your average circle lens store, so it's quite affordable if you don't have the dough to spend but still want to be pretty-on-a-budget. 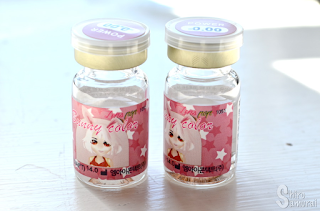 Just remember to always be careful with circle lenses, no matter where you buy them from. If your lenses ever feel bad, hurt or make your eye bloodshot etc then don't wear them!! Your eyes are a priceless and irreplaceable part of you while a pair of colored contact lenses only costs you an average 20 dollars. Remember to treasure your eyes – the gift of sight is not something to be reckless with! The lenses came packaged in a cardboard box; Klenspop sends their shipments from Korea! Inside the cardboard box the lenses were safely inside their own separate little box yo dawg, wrapped around a shitlot of bubble wrap – having the lenses come in a box doesn't happen everyday! I only ever had my orders from HoneyColor arriving in a box before this! Most times circle lenses arrive wrapped in foam so the box was a nice little surprise that made the order feel a bit more personal somehow, haha. Inside the box the lenses were in their own plastic thingy and with them came a lens case and tweezers. The box (empty) and what was inside it. Oh well, today when I woke up I finally saw some rays of sunshine coming into my apartment when I woke up – now was the time. Yeah you see, when I tried to put in the right lens it just didn't want to stick to my eye. D: It kept flattening on my finger (even though my finger wasn't wet of the solution) and when I finally got it to stay in my eyeball it stung, folded itself in half (still inside my eye) and came right off when I blinked! But luckily a few more tries later it finally stopped being a rebel and went in. It made my eye red and watery for some minutes. The left one went in without much of a fight, funnily enough? One lens in, notice the enlargement effect. The comfort is disappointing and I kinda wish they would be more comfortable, because then I would like them a lot more. :/ I just don't like wearing colored contact lenses if I feel clearly that I have them on; it starts to bother me rather quickly if the feeling doesn't go away. Here comes now the usual close-up photos of me wearing the lenses. All photos are without color filters to show you how the lenses really look when worn. All photos are taken during a semi-sunny afternoon with plenty of clouds around. If anyone wonders my natural eye color is a blue-gray with a slight greenish tint (depending on light) and a golden circle closest to the pupil. All photos are taken by me, Shiro Samurai. As per usual. In my apartment, facing the window. In my apartment, with only natural light. All lamps are off. Right under a very yellow light in the corridor. Next to a weak yellow light in the staircase. These lenses have a surprisingly nice shade of brown to them even though the design itself is rather basic, which isn't really a bad thing. The brown color shows up well and makes even my light eyes look almost as if they could have been naturally brown. :) There is a very slight hint of orange in the lenses too.The center of the lens seems to blend/fade very slightly into my eyes and you can see my real eye color peeking through the middle. I think that the contrast this gives is rather cool-looking! Facing the sun when it was partly covered by clouds. Facing a corner of the building outside, back against the sun. The limbal ring has a kind of fuzzy look to it so when worn it gives a smooth overall effect and doesn't jump at you; I would say that these lenses are definitely meant for natural or soft makeup everyday looks rather than for the vivid lens needs of a cosplayer and –if not for the subtle design and color– then for the very small enlargement effect. You just won't be turning many heads –both near and further away ones– with these because they don't give the dramatic 'oomph' extra push that some other bigger and more vivid/patterned circle lenses give, at least according to me. 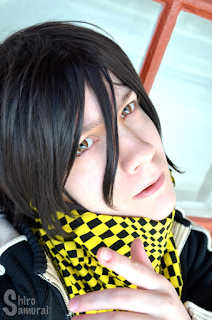 These lenses are definitely for subtle looks and are probably best fit to wear to places where you don't immediately want people to look and go all "hnn~, are you wearing contacts today?" at you. Yes, naturalness is the department where these lenses shine! 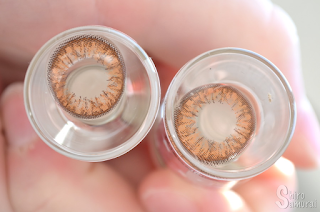 The lenses have different shades of brown in them, which makes for a natural light brown blend. Color is nice. Rather basic-looking design but that's okay, it's pretty in its own way. It just doesn't fall quite into my tastes; I'm more into bolder and artistic lens designs. 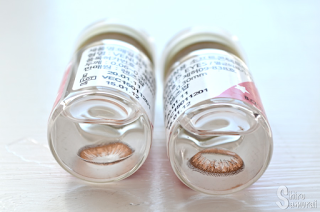 Not super opaque but they definitely deliver – I mean, my eyes clearly do look brown with these! There's not much enlargement to be spoken of here. These are really small circle lenses but that's for the better, considering the strong point of these is looking natural, after all. I really don't find these comfortable to wear. :( I kept feeling them in my eyes at all times and after only 2 hours I took them off because they felt dry and I couldn't stand it. These are pretty damn natural, what more do I need to say? That'll be all that I have to say for this time! I'm sorry to read that you had such comfort issues. You should maybe stay away from lenses and use eye drops for a while? So your eyes can recover and be all fine again. They look so nice on you!